Prof. Dr. Kazimierz Subieta is Full Professor at the Polish-Japanese Institute of Information Technology, head of the Chair of Software Engineering and head of the Research Centre of PJIIT. He is also Professor of Computer Science at the Institute of Computer Science, Polish Academy of Sciences, and Professor at the Computer Engineering Department of the Technical University of Lodz. 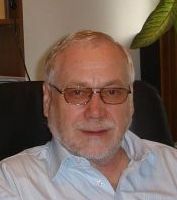 Kazimierz received his PhD (Computer Science) in 1973 from the Institute of Informatics, Technical University of Warsaw, and higher PhD (habilitation) in 1988 from the Institute of Computer Science, Polish Academy of Sciences. In 2004 he received the Full Professor title from the Polish Academy of Sciences. Since 1985 till 1989 Kazimierz worked as a programmer and project manager at the Intra Video Company in West Berlin, Germany. In 1991-93 he was a visiting professor at Hamburg University, Germany , and in 1994-96 he was a visiting professor at Kyoto University, Japan . His didactic and research interests include software engineering, databases, distributed systems, workflows, Internet technologies, business portals and e-learning. Kazimierz is the inventor of the Stack-Based Approach (SBA) to object-oriented query and programming languages and the main designer of the Stack-Based Query Language (SBQL) and database programming languages based on SBQL. He participated in many software projects, including the object-oriented DBMS Loqis, the DBPL system, several projects for Polish governmental and industrial institutions, the European project ICONS, the prototype object-oriented DBMS ODRA, and others. Currently he participates in the European project eGov Bus and coordinates the European project VIDE. Kazimierz is a very experienced computer scientist and educator. He has written more than 120 research papers and 7 books. He has supervised 9 PhD-s and more than 50 MSc-s. Currently he is the leader of a research group in Poland (more than 20 researchers) dealing with object-oriented database technology.